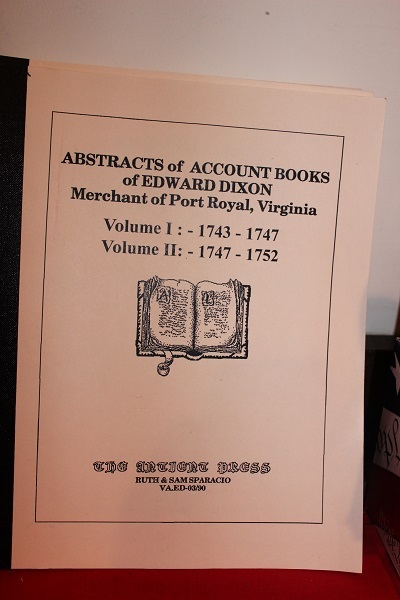 Includes financial transactions from individual accounts appearing in the account books of Edward Dixon, a Port Royal Merchant from the 18th century. Mentions hundreds of local names and lists items sold such as ivory combs, jockey whips, porringers, women’s damask shoes, along with everyday items such as nails, buttons, and buckles. A unique insight into 18th century life.